Remember Remember the 5th of November……..
Bonfire night and the time around the 5th of November is one of those periods of time when we have to stop and think about what is happening. Many people aren’t too keen on the bangs and flashes that erupt without warning but they have an understanding of what is happening. Imagine if you were sensitive to certain noises or disturbed by flashes of light but you have no understanding of what is going on. We take most things around us and our acceptance of them for granted. When we are sat at home of an evening and we hear a firework going off we know what it is. Our logic and minds tell us that considering the time of year it must be a firework. With this information in mind we don’t panic. The noise may disturb us a little but on the whole it doesn’t bother us. Someone on the spectrum on the other hand may, due to imagination and theory of mind related problems, find these sounds of explosions disturbing because they don’t automatically think ‘ah yes a firework!’ to them it is just a sound that has suddenly taken place which isn’t usually there. Not only is there a problem building with understanding what is happening but also with the fact that the ‘norm’ is not being its normal self. It is possible for a person to see and understand that it is a firework but there could still be an issue with ‘Why now? !’ as they evaluate the situation and think ‘hmmmm this doesn’t happen most nights so there could be a problem?’. If someone is suddenly made to feel nervous because of strange things happening then this can lead to a heightening of behaviours as they remain on edge. Many people have said each year that this time can be difficult, so, what can we do? Let’s not forget those good old ‘basics’. Most parents know the distracters and comforters that will work with their child when their behaviours are up so this is a time to ensure you have these good old aids ready and close to hand. Favourite music, DVD or even game to play. Whatever it is that works for you and your child or relative make sure you have it ready so that if they do become disturbed or agitated by the noises from outside you can quickly turn to them to start easing the stress. It could also be a good idea to not just have the distracters ready on standby but to also plan a couple of evenings through with activities that you know they love. If you can keep a person’s mind busy on something then it is amazing just how much they can shut out other things. If you already know that your child/friend/relative will be disturbed by the sound of fireworks then think ahead. Try and get all the curtains shut earlier than you maybe would normally as it’s amazing how much they can muffle sound from outside. 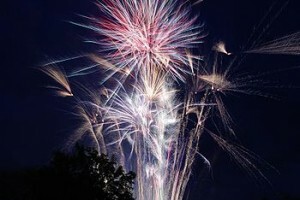 Having the curtains/blinds shut will also shut out some of the flashing and light as fireworks going off. It could be a good idea to ensure that around the house there is some constant background noise. In one room you could leave the TV on and in another the radio etc so that whichever room they happen to be in there is always some kind of noise that may just take the edge off of the explosions outside. The best way to deal with many such situations such as this time of year is to actually introduce it to the person. Again we too easily presume and understand things and forget that someone else may not, so do take the time to go through what is happening. You could put together a ‘Social Story’ with some pictures of fireworks going off. On things such as YouTube you can find videos of just about anything so why not look up one of fireworks. If you can show the person an example of a firework going off and what it might sound like it may not make them like them BUT it lets them know what it is that is happening. Too many problems with those on the Spectrum are related to a basic idea of comfort and happiness. ‘I’m use to life being this way and that pleases me’ ‘when things suddenly change that makes me worry and panic.’ Anyone sensitive to the changes and events that take place around us will be disturbed by the sudden arrival of all these explosions and flashes coming from all round so let’s not leave it that they are worried let’s bring them ‘comfort’ by letting them see and understand what is happening. If a person is more comfortable with what is happening then they will feel better within themselves and behaviour should keep to a level that is easily managed. It is important to always put yourself in that persons shoes. Just imagine how you would feel if you had no concept of ‘Bonfire Night’ and suddenly there were explosions etc around you. You would be frightened to start with and then also you would worry about what else is to come. If you had no concept of the 5th November how could you know that it is just something that happens for a small period of time each year? You would be worried that it was going to keep going and maybe even get worse! The unknown is a very frightening place to be but some of that fear can be removed by making the unknown something you have seen and understood. Be ready to ‘comfort’ and ‘support’ as these are things that more than anything will help you through any rough times that may come such as now. A person scared of what is happening is in need of reassurance and to just know that ‘everything is ok’. For those of you who know their child will like the fireworks etc that is great and please do go and have some GREAT fun. Remember though that even someone that ‘likes’ something can very quickly suddenly not like it so be prepared. If you are going to take them to a display think about taking some ear defenders with you that just take the edge off the sound. We know displays as a whole are noisy but there is often the odd big bang that makes us all jump so those ear defenders might just stop those from frightening someone which could in turn mean they no longer like to watch them. Have fun everyone and enjoy the Fireworks if you can, but, most importantly stay safe! Hillingdon Manor School celebrates its 15th year!! Thursday 23rd October, leading independent school specifically for children on the autistic spectrum Hillingdon Manor School celebrated it’s 15th birthday. Founded in 1999 by Anna Kennedy OBE, Hillingdon Manor School started as a local support group for children and families affected by autism. The first classroom took shape in Anna’s garage, teaching a small group of children including Anna’s two sons Patrick and Angelo. Anna put the gears in motion for the school when Patrick 24 and Angelo 21 who are both on the spectrum were struggling in mainstream school, and Anna came up against the lack of knowledge, understanding, education and resources relating to autism. After much market research in her local areas of Hillingdon and Uxbridge, Anna found that the small number of children with autism living there were faced with similar challenges, and decided to connect with the families. Fifteen years later, the school now caters to 150 children and provides both primary and secondary education. The fifteenth celebrations kicked off yesterday afternoon, which included all of the pupils and was visited by special guests Sir John Randell, MP for Uxbridge, who has supported the school since the beginning, and Waterloo Road Star Richard Mylan, who was met with very excited members of staff and pupils, many of whom are fans of the show. 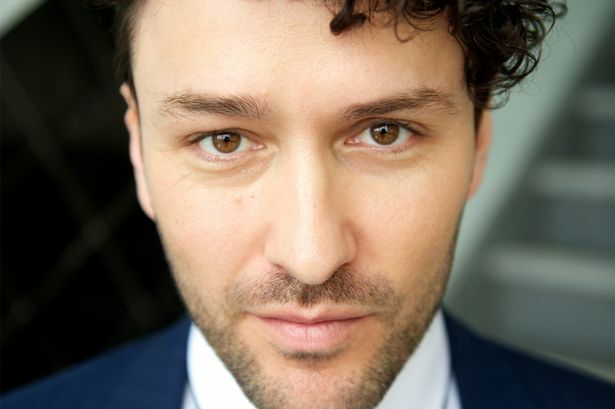 Richard Mylan Actor from BBC TV Series Waterloo Rd, who has a son on the spectrum was told about the school and wanted to help the school celebrate and support the amazing things that the school has and is achieving.’ I recently visited Hillingdon Manor School during their 15th birthday celebrations & was frankly blown away by what I saw! As I walked around the building, visiting the classrooms & meeting the students, what immediately struck me was how warm, vibrant & full of joy its occupants were. The staff & students were very accommodating & eager to show off their achievements… Which were many! The building boasted Art rooms, photographic dark rooms, metal work & science rooms, building & decorating workshops to name but a few! & It struck me how relevant & plugged in the ethos of the school is to the needs of young adults & children with autism. I was so inspired by the energy & enthusiasm of the teachers which transferred to the smiling faces of the many talented students I spoke to. Anna remortgaged her home to open the school, and now Hillingdon Manor School is located over three sites. The school offers a unique mix of education and support to pupils across the spectrum, and offers its pupils a safe and structured education and a brighter future. Personalised teaching and learning within an autistic specific environment allows pupils’ individual needs to be addressed completely and their capabilities fully realised. Not stopping there, Anna went on to set up a Community College in 2001, a respite home for adults in 2004 and a second specialist school in Kent in 2011. In 2009, Anna wrote Not Stupid, which openly describes the struggles faced when opening Hillingdon Manor School and the adversity that she faced. Hillingdon Manor School is identified throughout the UK as a leading educational institution for children and teenagers with autism. “Over the past 15 years, we have been faced with challenges and struggles that as many points we didn’t feel we would overcome. The support that we have received over the past 15 years has been overwhelming and we want to say a huge thank you to everyone involved and for everyone’s support. Let’s raise a glass for the next 15 years!” Anna Kennedy OBE concludes. Hillingdon Manor School is an oasis in a desert of educational provision. Its teaching staff and specialist facilities make a real difference to youngsters diagnosed with an autism spectrum condition and maximise the potential of every pupil. 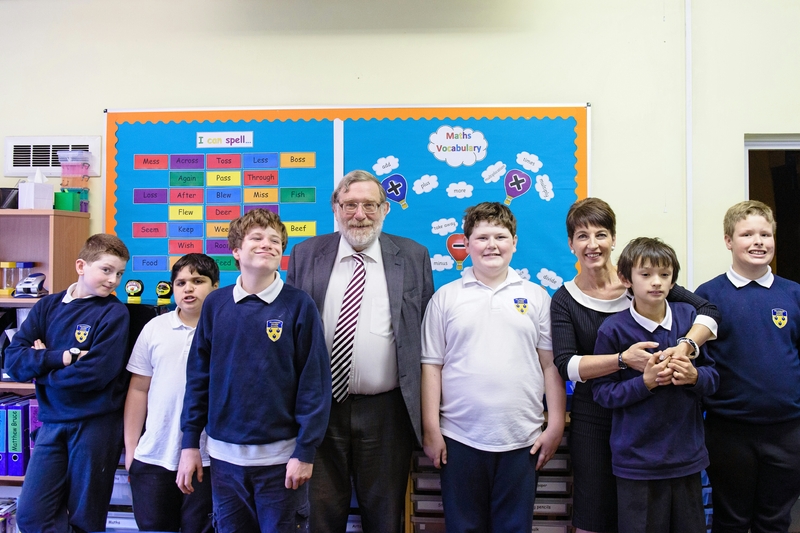 The school is a credit to what Anna Kennedy and her dedicated team have managed to achieve through sheer hard work, dedication and a belief that there is a better way of teaching for people with an autism spectrum condition. Its great to see happy youngsters studying and achieving great results, often after many years of despair and disappointment for them and their families.The school is a wonderful facility that is so desperately needed in our country and I am delighted to be associated with helping children with autism achieve their full potential. 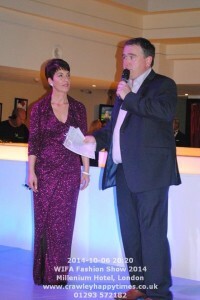 Celebrities attend our fundraising event at Surrey restaurant! The Royal Chinese Garden tucked away in the Shirley Hills was the place to be on Thursday 16th October where it was filled with Autism Campaigner Anna Kennedy OBE, Steven Smith as the new patron of Anna Kennedy Online Charity, Nicola Duffett, Eastenders actress and Richard Hawley, star from ‘Love Actually’ film and Prime Suspect series with many other TV shows. Steven Smith went to great lengths to attend this event and is the new patron of the Anna Kennedy online charity, because of his ongoing and extensive support of the charity and recently doing a 10 mile walk with the Anna Kennedy Online team and the recent fashion show ‘Wear It For autism’ which was a complete sell out. Anna Kennedy OBE says, “The idea for events like this is so that we can also have a break from everyday routine and take time out”. The evening had a fabulous duo called Suzi and Nico, who were great entertainers throughout the evening who got the crowd up and dancing until the very end. A special guest performance from two ‘Autism Got Talent’ stars Marie Gorton young adult and Ryan Wiggins age 11 got on stage and there was not one dry eye in the crowd after their performances. 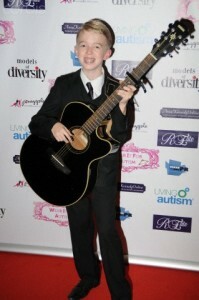 Autisms Got Talent is a smash hit annual event that Anna Kennedy has organised for the past three years. Anna says that “‘Autism’s Got Talent’ is not a competition but rather a celebration of just how talented those on the Autistic Spectrum really can be.” The next show will be in London on 9th May 2015 and tickets go sale in January 2015. The Royal Chinese Garden Restaurant owner May and Anthony Cheung have both been incredible and have supported the Charity fully by offering its venue and wonderful three course meal and a band in order to assist with this event. This is an example on how a family run restaurant can open its doors to wonderful causes and shows generosity and integrity towards a charity that need businesses that show so much support to the community also. Other local businesses donated some raffle prizes including Jam hair salon in Sanderstead, Nuffield Health in Croydon, Donna’s cakes. 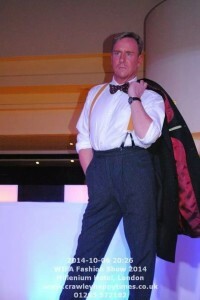 Wear it for Autism is a Smash Hit!!! Wear it for Autism 2014 was a sell out, filling the 200 plus accommodation of the venue. 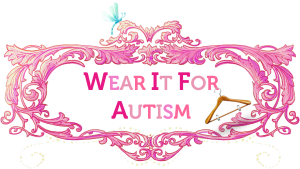 Founded by Anna Kennedy OBE of an autism charity Anna Kennedy Online , Wear it for Autism presented fantastic opportunities to families and individuals affected by autism. Supported by Models of Diversity, My A Dress Book, Bon Prix, Living Autism and Pineapple Performing Arts, the winners took to the catwalk strutting their stuff in stunning outfits and dresses donated by several clothing brands including Damsel in a Dress and jewellery by Miglio. Wear it for Autism, took place 6th October 2014 at the fabulous Millennium Hotel Knightsbridge and all guests received a luxury goody bag. Throughout the day, all of the winners, who were selected from a vigorous and emotional process earlier on in the year were pampered by professional make up artists and styled by Celebrity Stylist Lewis-Duncan Weedon. The winners, all of whom are affected by autism, were greeted on the catwalk by numerous celebrities including Amy Willerton, George Gilby, Mitch Winehouse, Arlene Phillips,Keith Mason,Dr Pam Spurr ,Steven King and Nicola Duffet which was a true high light of the evening. Other celebrities in attendance included Lydia Lucy, Olivia Cox and many others. Another major high light was the announcement of Author Steven Smith as the new patron of Anna Kennedy Online. “I asked Steven Smith to become the new patron of the charity, because of his ongoing and extensive support of the charity and Wear it for Autism. He has been on board from start to finish, and has participated in several events to raise money and awareness for both the charity and for autism. He has become a fantastic ambassador and a close friend. He was very excited when I asked him to fill the role, and I was thrilled when he agreed. I couldn’t wait to announce the news at the event.” Anna Kennedy discusses her decision. During show, the audience were greeted to a show by Pineapple Performing Arts, Models of Diversity , Jess and the Bandits ,other performances by Ryan Wiggins, which didn’t leave a dry eye in the house, and X Factor and Autism’s Got Talent star Scott James. Wear it for Autism was the epitome of glitz and glamour, and received multitudes of support, with many brands donating items to the winners and the event. Anna Kennedy OBE would like to say a huge thank you to everyone involved, who helped make the second Wear it for Autism the best yet! Our judges Steven Smith , Angel Sinclair , Dr Pam Spurr and Maggie Paterson, Sam Tomlin ,Fiona Shepherd shed many tears after choosing the winners from many of the nominations . This was a heart wrenching and inspirational process . Highlights from the show will be shared on Youtube very soon…..